From tailored culottes to denim A-line skirts and 70s flared jeans, this year is all about fashion comebacks. And my most favourite sartorial revival? 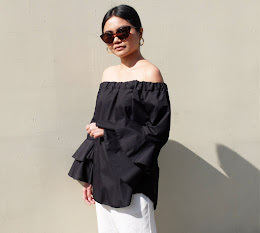 The off-shoulder/ bardot trend. In the last couple of months, I've amassed quite a few pieces already in different colours and designs but I still find myself lusting for more. 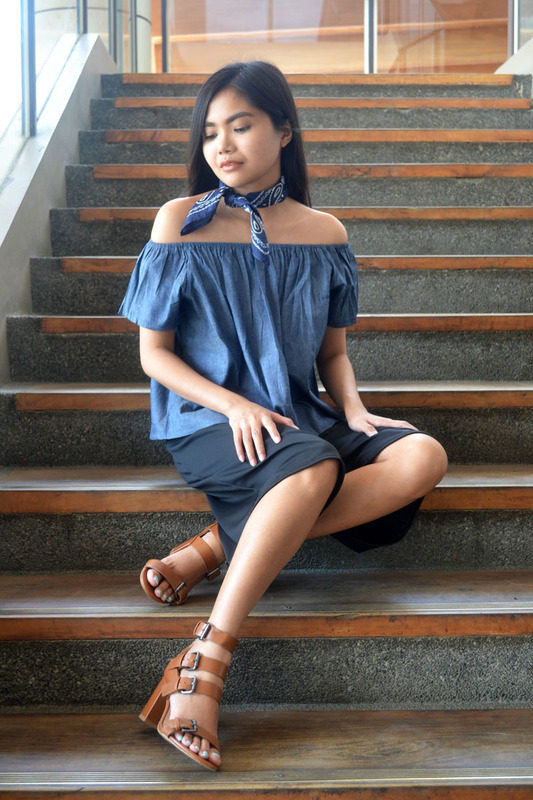 Maybe it's the feminine vibe it gives off or because it makes the wearer look effortlessly chic, bardot styles are my go-to items especially on hot sunny days. 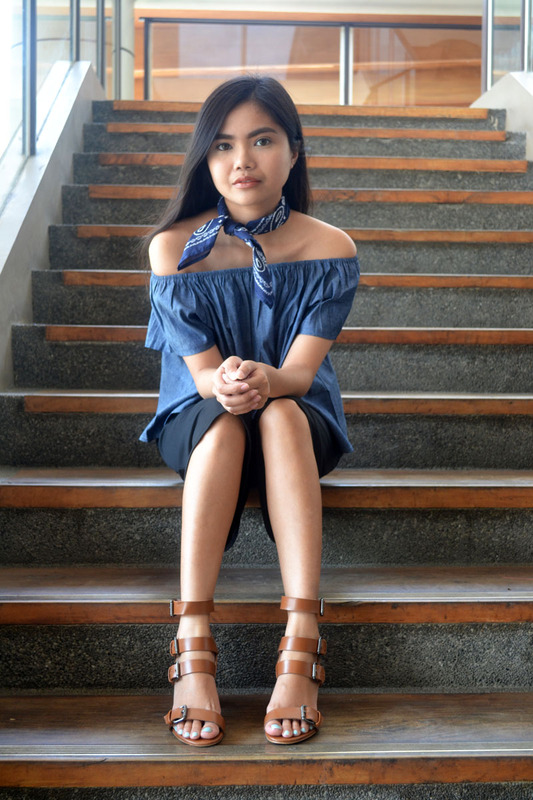 For this outfit, I'm wearing a denim off-shoulder top in a darker wash. I feel like when it comes to this type of clothing, lighter coloured ones are suitable for Spring/ Summer only. 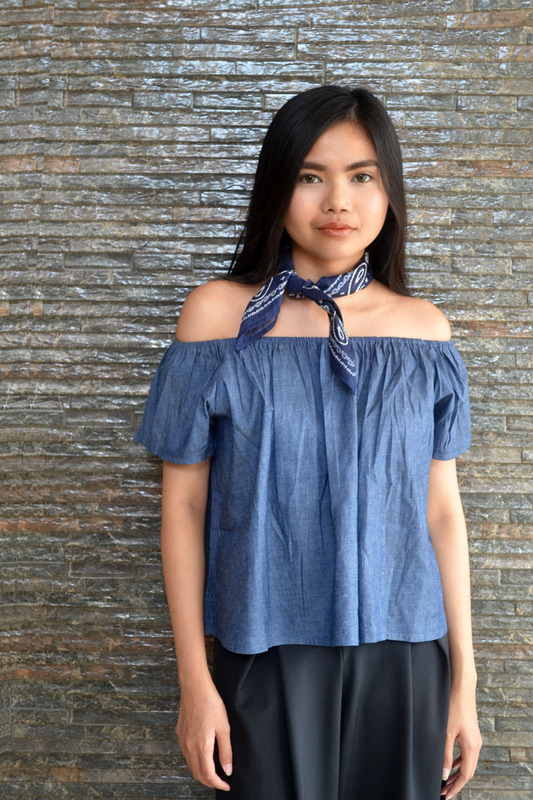 So a dark blue denim top like the one I have on is so much more versatile and easier to style for next season. Because my top already has enough volume, I paired it with black culottes. These bottoms help balance the look and give me a sleeker silhouette. I kept the accessories simple and opted for brown block heels and tied a bandana on my neck.